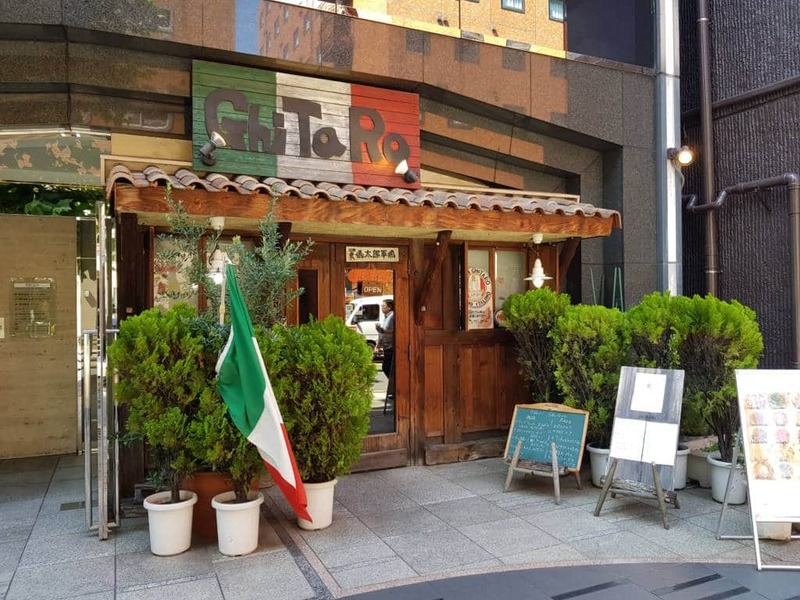 Ghitaro is one of the oldest Italian eateries in Akasaka. Consequently the decor is a little dated, but it mainly hits the mark for the rustic feel that it seems to be aiming for. 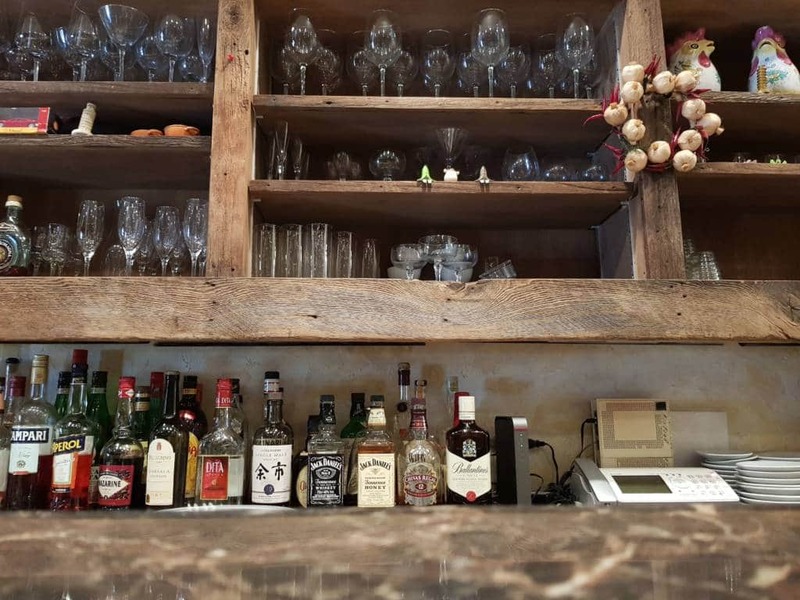 To emphasize the slightly dated atmosphere, there is a photo of Junichiro Koizumi in pride of place behind the bar – Japan’s Prime Minister from 2001 to 2006. The service is quick and polite if not lacking in flair. They do seem a bit puzzled on how to treat non Japanese customers, but they were friendly enough. The restaurant is 100% non-smoking for lucn, while the front of the restaurant is reserved for smokers at dinner time. While the pizza is freshly hand made, they don’t have a woodfired oven so the pizza doesn’t have that smokey woodfired taste typical of Neapolitan pizza. The crust too is a touch on the dry side. Lunch options include the A, B and C course. 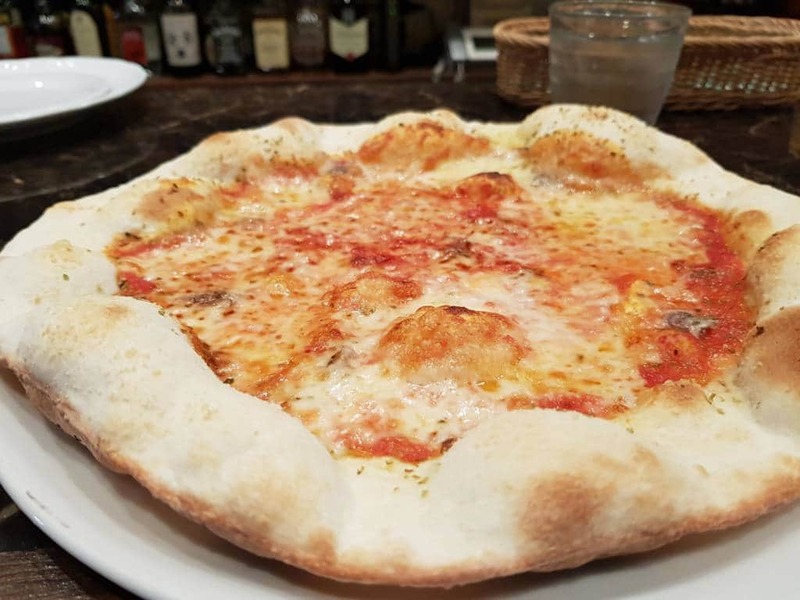 ‘A’ is a pasta lunch with an antipasto starter and drink for ¥1,030, B lunch is the same but replacing pasta for a freshly made pizza – for ¥1,030. 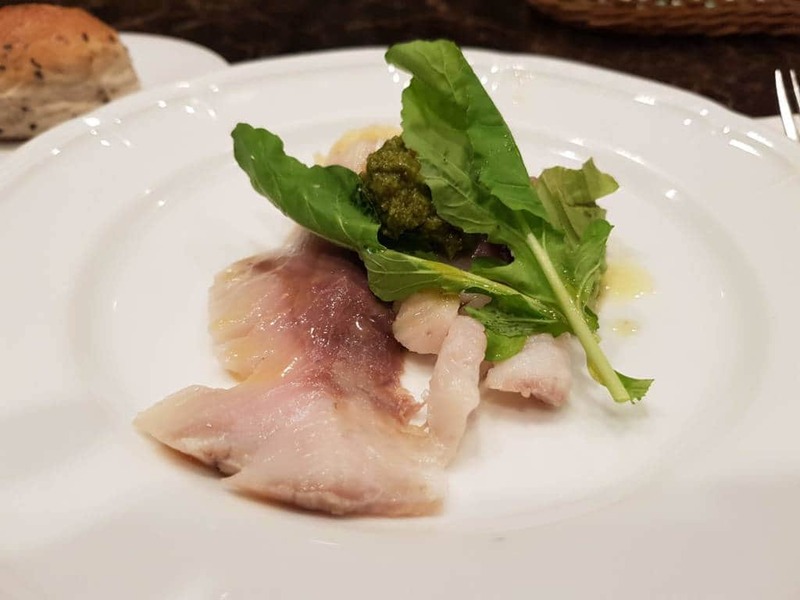 The most expensive option is the Pranzo Ghitaro for ¥1,830 which includes either pasta or pizza and an extra course of food from the menu. The clientele are a slightly older local crowd.